The NEW Bossier East Bank Market is coming Tuesday March 5th 2019! Vendors, Food Trucks, Shopping, Art, Music, and more! Tuesday afternoons from 4pm-7pm. Beginning weekly March-November 2019! Sign up for Email Alerts Here! Sign up to receive information Here! 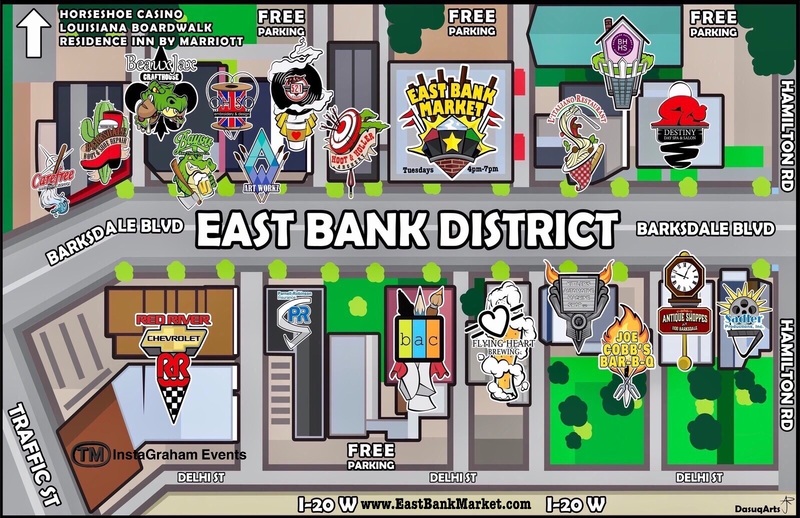 Download/Print the East Bank Market/District Map! Copyright © 2019 East Bank Market - All Rights Reserved.